While the world goes about its daily affairs, the Messenger must proclaim. 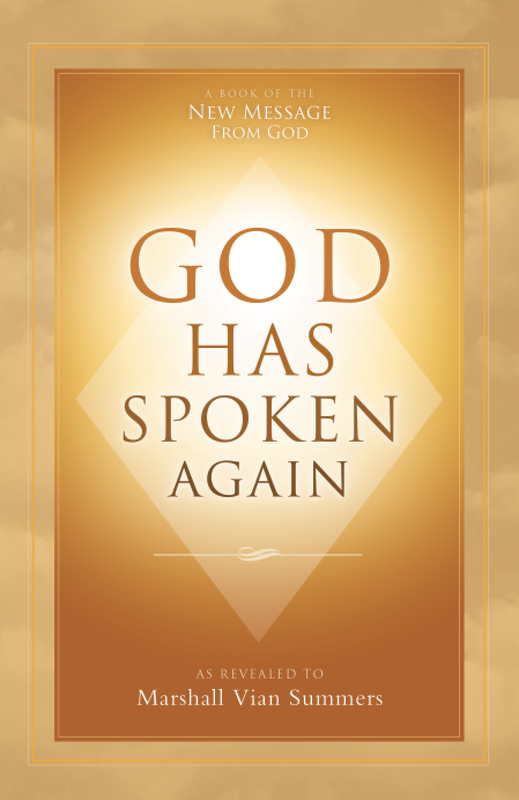 He must proclaim God’s New Revelation, for it holds the key to so many people’s lives and future. It will initiate their calling, their greater calling, which could not be initiated by any other teaching or any other reality. There are many people waiting for the New Revelation, for they have not found this Initiation in the religions of the past, in the traditions of the world. They have not been able to find the deeper connection through love, through work, through any other activity. They have been waiting so long. So long have they been waiting for the Revelation. For them, it is not merely a teaching or a phenomenon. For them, it is not merely something to speculate about or to contend with or to deny and reject. To them, the Proclamation is not outrageous or unusual. It is the perfect thing. It is their Initiation. It holds their calling, speaking down the Ancient Corridors of their minds, speaking to a part of them they barely know, but which is the center of their Being and their presence in the world. For them, this is the greatest moment though they may not understand its full meaning or what it will require in the future. For them, this is what they have been waiting for. They were sent into the world to be at a time of great transition. They were sent into the world to be a part of building a new future. Their connection is more to the future than to the past. They are the children of the future. You cannot change that which was put in place before you came into the world. Though the events of the day and of the year change your circumstances and alter your opportunities, your destiny is still the same. You may fight with this. You may contend with this. You may try to replace it with great projects, great romances, great endeavors or any number of distractions and fantasies, but you cannot alter what was put within you before you came. Your mind may speculate. Your mind will question. Your mind will think it is ridiculous; it cannot be. But your heart will know. Your soul will be activated. It is like the Voice that spoke to you before you came into the world, preparing you to enter this difficult and challenging environment. It is that Voice—like that Voice, like Our Voice—that brings the connection alive, that restores the primary focus and meaning of your life. But at the moment of Initiation, you will not understand. It will be so confusing. So different it is from your goals and your ideas and your notions about yourself and what you are doing in the world. And all of a sudden, it is like you are struck with lightning, and for a moment in the darkness, everything is illuminated. And you see the truth about your life and how far you really are from your greater purpose and calling, adrift as if you were on a raft in the ocean, carried about by the winds and the waves of the world. But God has found the speck on the ocean, and that speck is you. This is the Initiation. Mysterious it is. You cannot comprehend it with the intellect. You cannot control what it means or what it will lead you to do. It is beyond your control because God is beyond your control. And once the Initiation has been recognized, after some struggle, the journey of preparation stretches out before you. The Steps to Knowledge stretch out before you. The reclamation of your true life and all that that will require of you, and your current circumstances and obligations, are set out before you, step by step. What a time this is then to be struck by the Revelation. Momentary it will seem, but all of a sudden, everything begins to feel different. You have had an experience that stands in contrast to your normal experiences, and this begins to create a contrast that you will carry forth with you. For nothing you can do on your own can compete with this. It is bigger than any experience that you have ever tried to have. It is greater than any goal you have ever set for yourself. You feel frightened and overwhelmed, confused, but it is okay. It is natural. To have your life so suddenly change, certainly would create confusion and disorientation. It would certainly be disillusioning to your current obsessions and distractions. The Initiation may make you feel helpless and confused, highly uncertain. You might even think it is a great misfortune. But from the position and perspective of Heaven, you are the blessed amongst the few, a person who has been given the greatest opportunity. So what if it means changing your life and circumstances? What is that compared to who you are and why you have been sent? Significant to you, yes, at this moment and meaningful perhaps to others who are involved with you. But you have been given a greater opportunity, and even more than an opportunity—a calling. It is the predicament of the world. Everyone has the eyes to see and the ears to hear, but they are looking in a different way, and they are trying to hear what is in their mind and what confirms what is in their mind and not what exists in reality. So they look, but they do not see. And they listen, but they do not hear. They stand next to the Messenger, but they do not recognize that they are standing next to the most important person in the entire world at this time. The Initiation begins with impact. It begins with dissatisfaction and the recognition that you are searching, that you are not content with what you have and where you are and with what you are doing because this does not represent who you are and why you came here. Those who do this experience a satisfaction and a sense of value and power that are lost to everyone else, no matter what they proclaim for themselves. God’s New Revelation will clarify the nature of human spirituality, which has been overlaid by culture, by convention and by political manipulation. It will make it clear that you are born with two minds—a worldly mind that is conditioned by the world and a deeper mind within you that is still connected to God. It will make it clear that the intellect has limits, and beyond these limits you must go beneath the surface of the mind. People may want many things of the Messenger—hoping for dispensations, for miracles, hoping to believe in someone supernatural, hoping to have their lives be enriched by his presence and his work. They will be disappointed, as have the previous Messengers disappointed many people. That is why Messengers are denied, rejected, avoided and, in some cases, destroyed because the people do not get what they want. They only receive what they truly need. It is unlikely you have found this quite yet. But you who are hearing Our words have come to the point where Initiation can occur. You must listen with your heart, not with your judgment and your ideas and all of the requirements you think are required for the Revelation to be real and to be meaningful to you, as if you could determine such things. God does not simply dispense with all these problems because God did not create them. They have to be uncreated. God has given you the power of Knowledge, the deeper intelligence, and a greater calling to erase the tragedy of your former life and existence and to restore to you the dignity and the purpose that are yours to claim and the purpose that is yours to serve. This is the gift of Heaven—that your life can be redeemed. But you must allow the pathway to be presented to you. 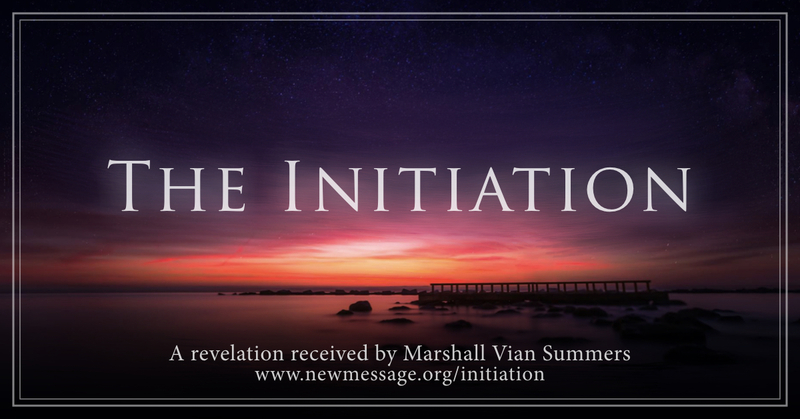 You must respond to the Revelation. 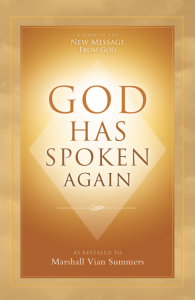 If you have not responded to God’s previous Revelations, then you are waiting for the New Revelation. At some point, at a moment of despair or disillusionment, you will feel a deeper stirring within you. And you will recognize that you have come for a greater purpose that you have not yet discovered, but which awaits you, waiting for the moment where your life is being called.